Every one of us dreams of an amazing home that’s filled with space and light and has all that it takes to create a perfect living space however unfortunately it’s not as easy as it seems and we are often left disappointed with our efforts. This is where professional interior designers in Pakistan and in other parts of the world do their job. This guide by Amer Adnan Associates, the award winning interior design and architectural firm, will help you designing, planning and creating a dream home. Inner Style is a term that has become quite popular across the fashion sector as well as the interior design industry. How you discover your inner style means how you come to know about your creative instincts. This helps you defining your expression in a better way. This can be done by reading more and more articles about interior designing. You can also start off by gathering visual reference material from many different home design magazines available in the market or online. By visiting furniture showrooms and familiarizing yourself with the myriad of contemporary furniture and home décor accessories and visiting shows that are specifically for home designing. By visiting different well-decorated gardens, you can also get a sense of size, color and shape. Without knowing the purpose of each room, you cannot effectively plan its decoration. AmerAdnan® strongly emphasizes on usage of each room in a home to its maximum potential. The room you are planning to decorate may be a play area, a study place or a part of your home dedicated for rest. Due to limited resources, many people are unable to have dedicated rooms in their houses, which is why many rooms serve dual purposes. For instance, the dining areas are often also used as study rooms as they offer minimum disruption. The bedrooms can also have a small sofa paired with a small table and a lamp for studying. There can also be a small play area for kids in the living room. So, you should first know the purpose of each room in order to fully utilize it according to its potential. It is really important for an interior designer to make the most intelligent use of natural as well as artificial lights. For instance, the importance of using day light on a dull day to lift the spirit is really important. So you should make sure that your windows are dressed in a way that they allow natural light in whenever you may require. The blinds are a perfect choice in this regard. Moreover, when it comes to artificial lighting, no light should focus directly on you. Instead, each of the lights installed in a room should spot towards the ceiling or to a special painting on the wall. 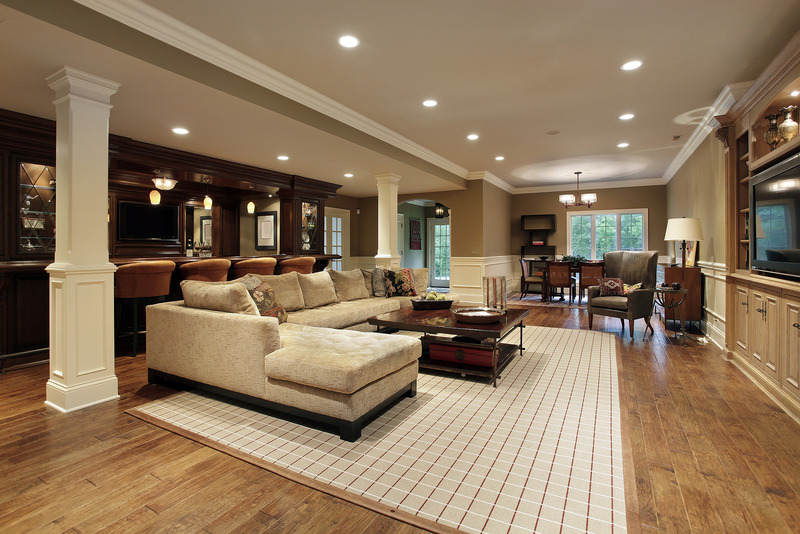 A spot light may also be focused towards an expensive decoration piece in your home. Apart from the three most important things mentioned above, there are many other elements playing significant role in a home’s interior decoration such as spatial awareness, effective use of color & color therapy, the intelligent use of shapes, wall art and choice of decorative accessories to make a home look inspiring and welcoming.